An upmarket supermarket thought it had come up with the perfect solution to a problem that didn’t exist. According to the Independent, U.S. supermarket ‘Whole Foods’ – which calls itself ‘America’s healthiest grocery store’ – came up with the strange concept of pre-peeled oranges, presumably for those too posh to peel. However, the Internet wasn’t sure it was such a great idea. A single tweet with a photo of the whole oranges – their skin removed and placed in plastic packaging – went viral after the poster pointed out the irony of removing their natural protective layer. 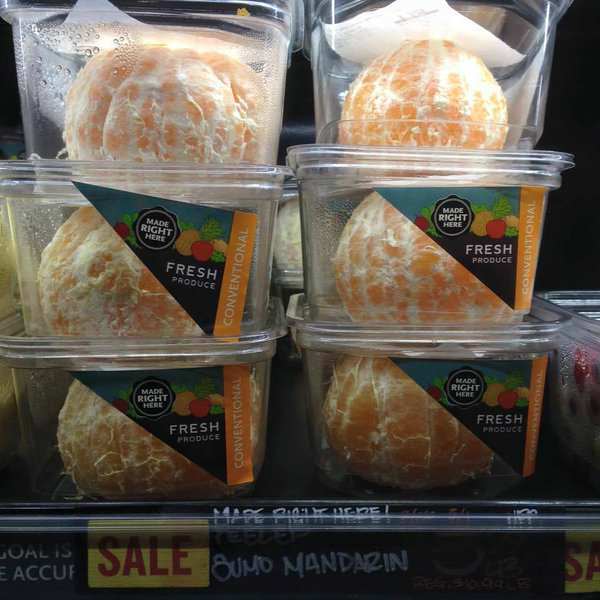 The oranges have caused such outrage on social media that Whole Foods has now dropped the idea altogether. Responses ranged from those who were angered by the waste, to others who said they personally struggled to peel an orange. That makes me unbelievably angry actually. Talk about [un]necessarily contributing to plastic taking over the planet. Others said they found the brand name ‘Whole Foods’ pretty ironic given the removal of the peel, with one asking the question: “How does Whole Foods only sell three-quarters of an orange?” Fair point. @hansmollman @awlilnatty yeah, seriously, how does whole foods only sell 3/4 of an orange? The original post has been re-tweeted and liked more than 54,000 times and, to be fair to Whole Foods, they have actually taken notice of the criticism. @AlexCKaufman @awlilnatty While it looks like a waste to you and I, many senior citizens struggle to swallow an orange let alone peel one. It’s not the first time that Whole Foods has been criticised over some of its more left-field products. 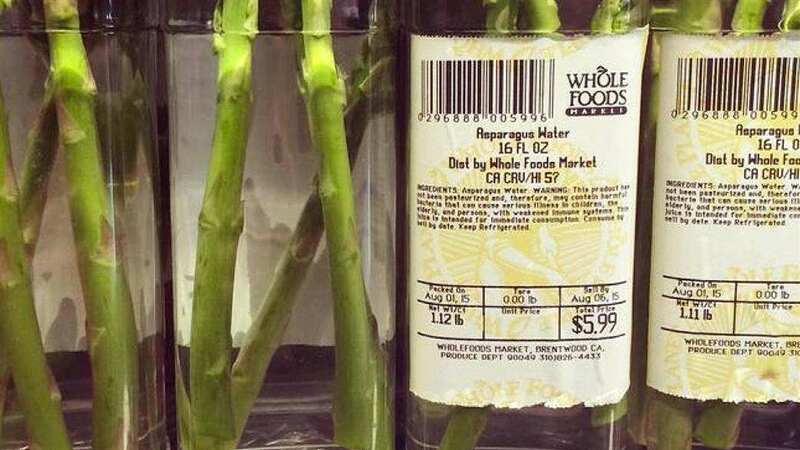 Last year, it pulled ‘asparagus water’ (yes, it’s exactly what it sounds like – three asparagus spears placed in bottled water) from its shelves after charging $6 a bottle in an LA store.